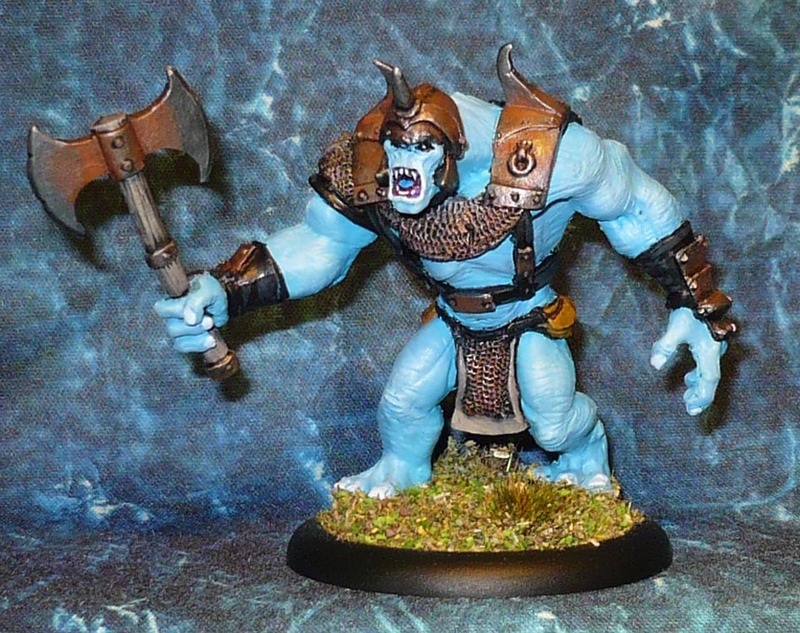 In the Frostgrave rendom encounter tables one of the options are two snow trolls at once. 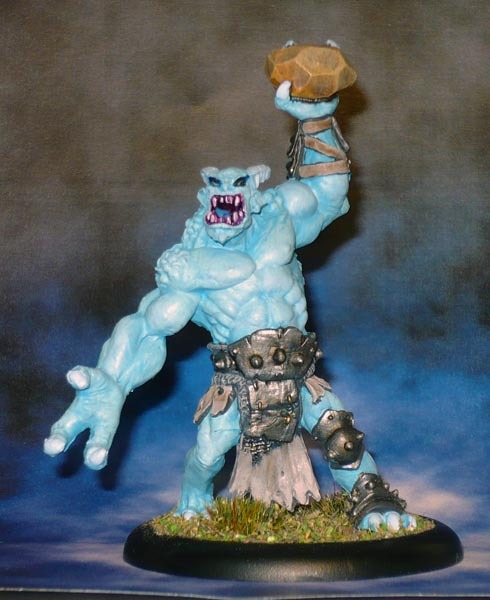 I did the blue Ice Troll a while ago and have been looking at this model to make it a compaion ever since. Slightly larger, with much more armour and an axe (which refused to stay straightened. Not surprizing as it was a veritable noodle when it arrived. Well, at least they are of the same general body type and size.